I am not going to mention my love of oils again (ops! ), and this little one does not disappoint. 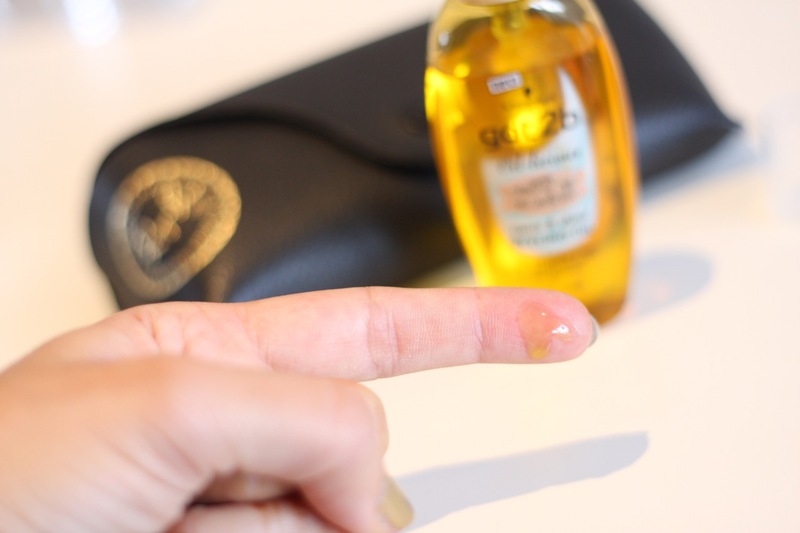 It has a deep, almost honey like colour with a fluid consistency; it feels a little bit different from other oils. Non-greasy, it works wonders on city, but mainly beach hair, with many uses: pre-wash, on dry hair, post-wash on wet hair, post-drying, for styling, smoothing and settling and also on the go, on the beach, after swimming, of just throughout the day to keep the tresses in check. 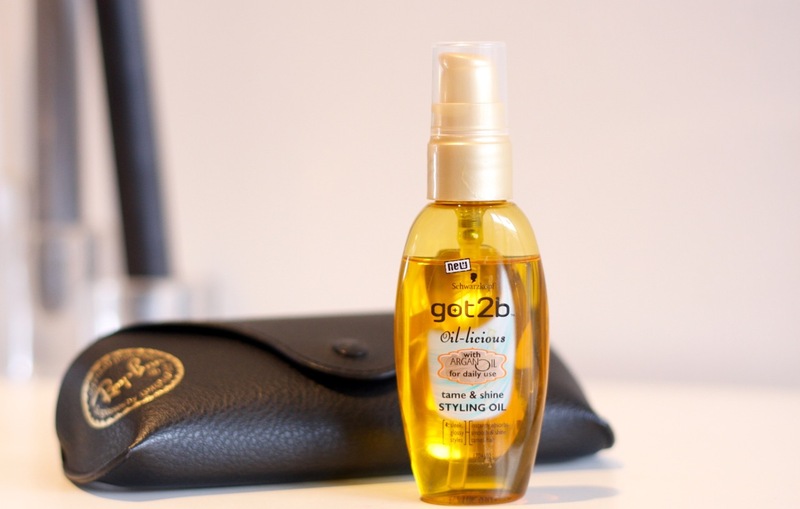 With Argan oil in its formulation, this product tames, conditions and gives hair some shine. Ad the smell is to die for, as in every Got2b product. At this compact size, it is perfect to have on the go or when travelling. At the affordable £4.05 I can afford to have two bottles going – one in my bedroom (which is the one that came on holidays) and the other one in my gym bag. 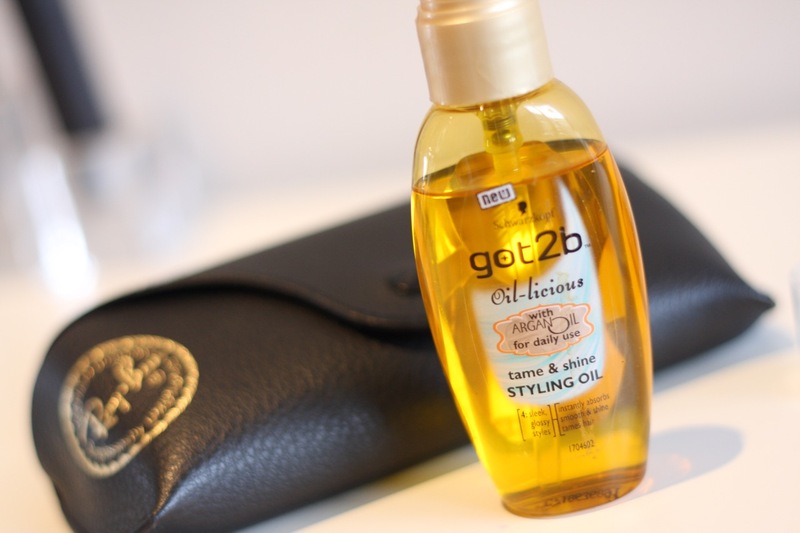 You can get the Got2b Oil-licious Tame & Shine Styling Oil from retailers nationwide, like Superdrug and Boots. The other product on the Oil-licious range is the Dry Oil Mist spray, which is also fabulous. Oh my gosh I need something like this ! Love your blog ☺️ hopefully we get something like this in Aus soon!